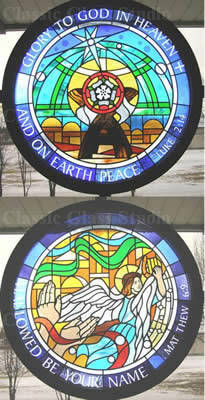 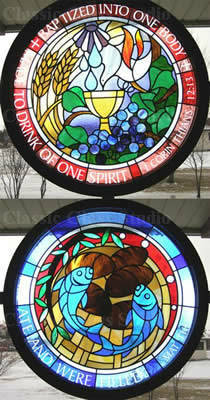 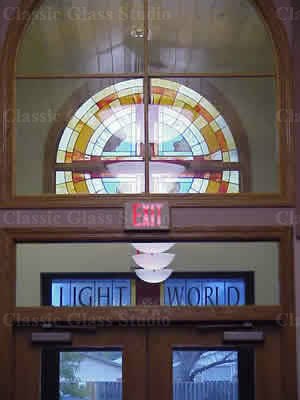 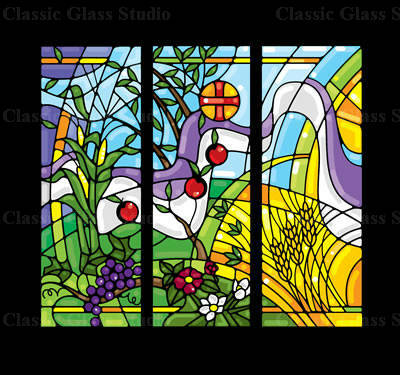 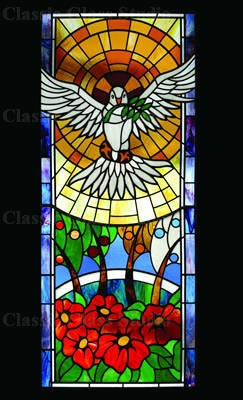 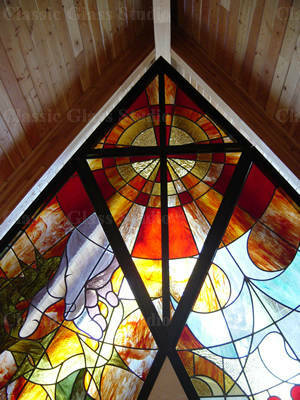 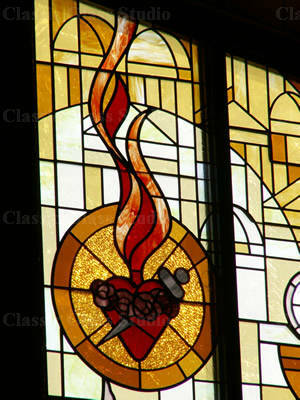 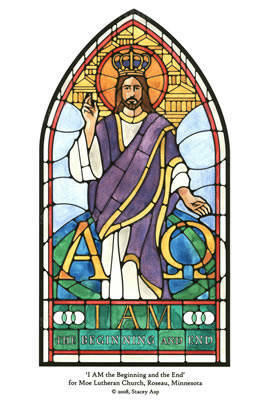 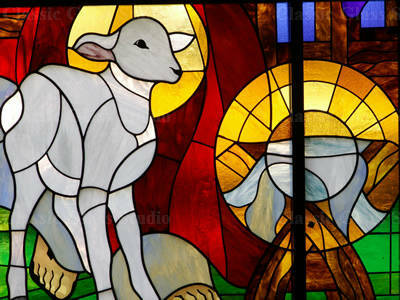 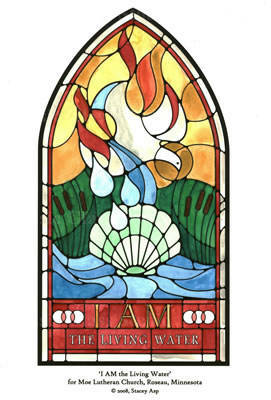 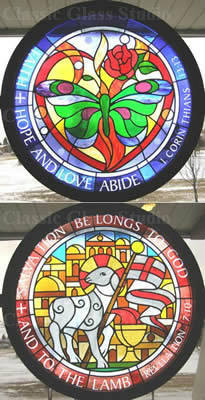 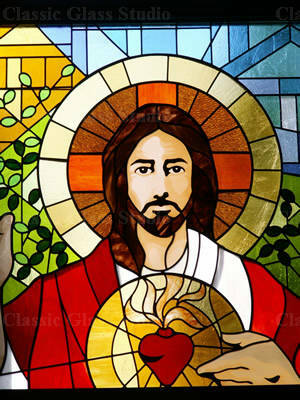 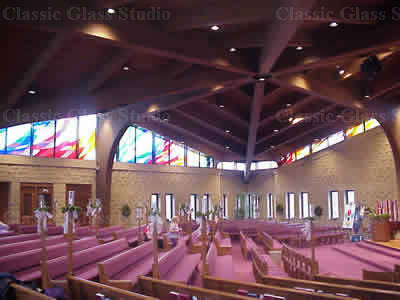 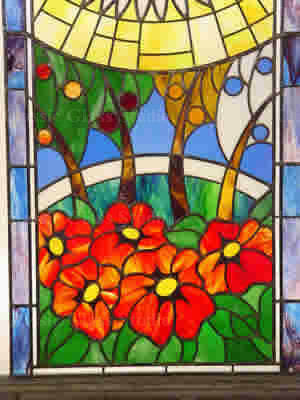 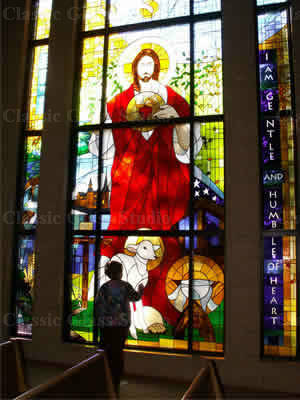 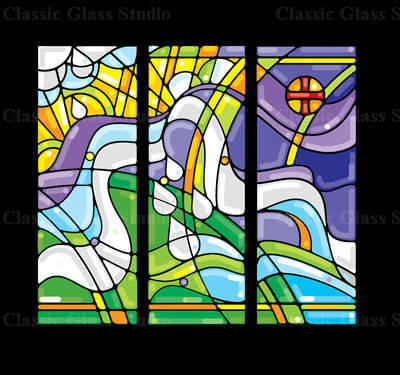 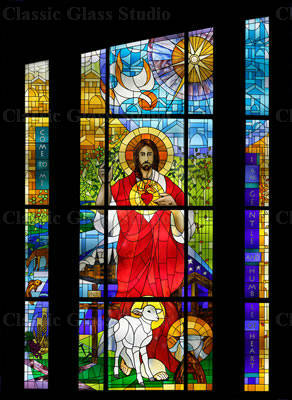 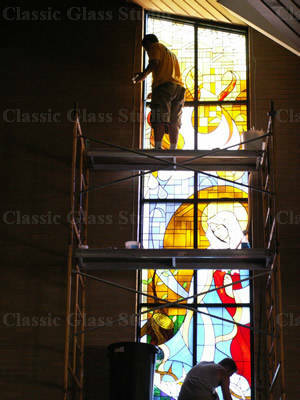 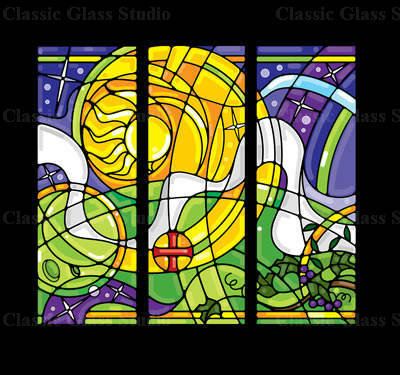 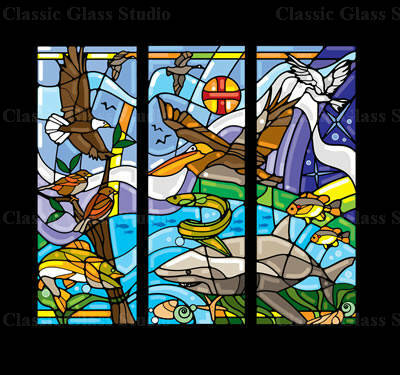 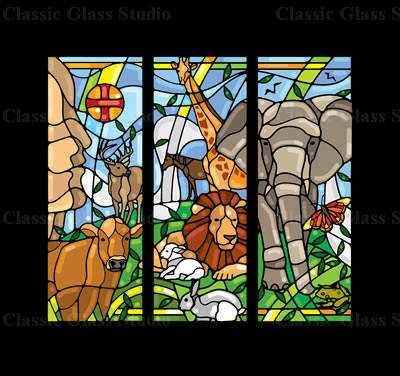 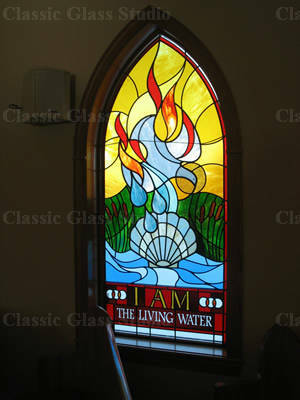 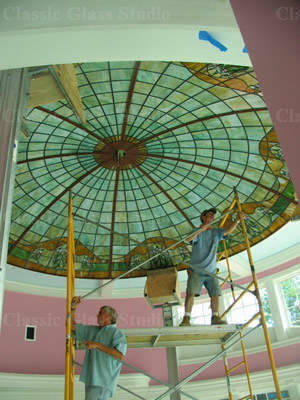 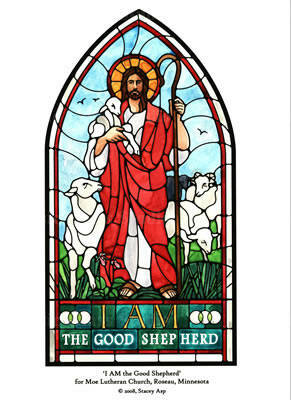 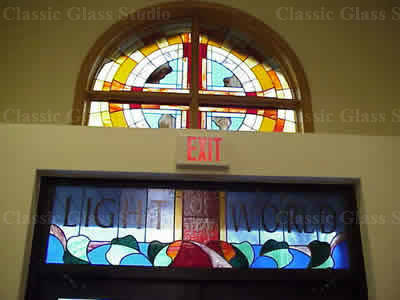 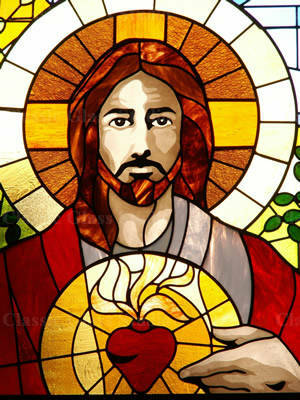 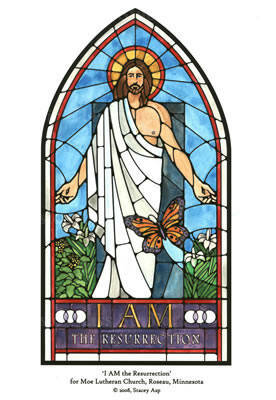 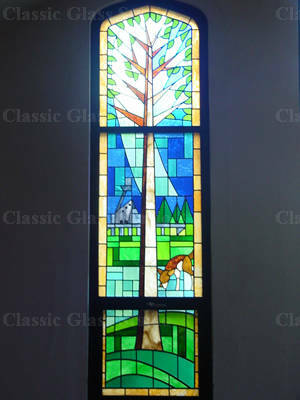 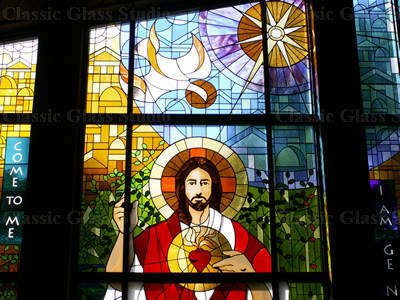 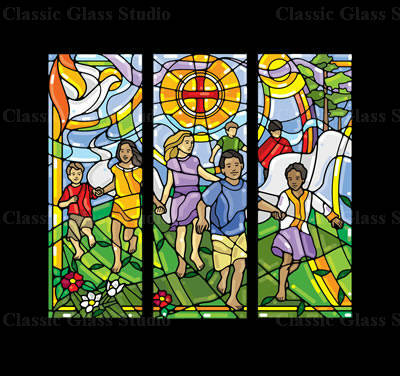 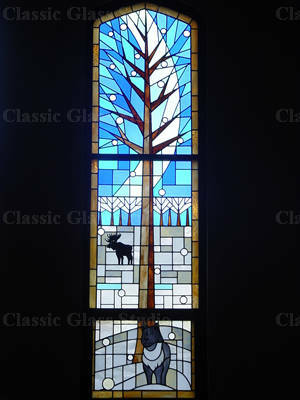 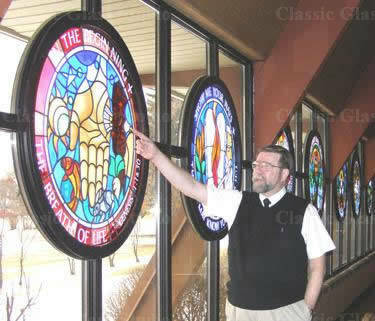 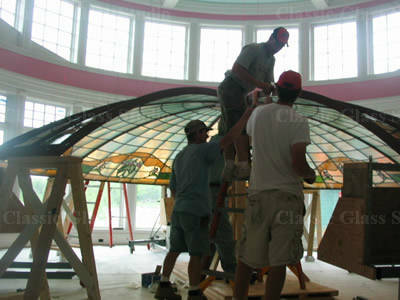 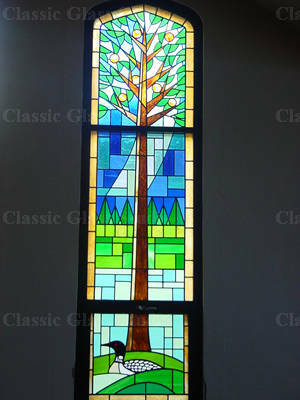 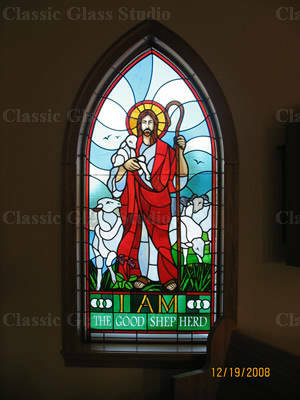 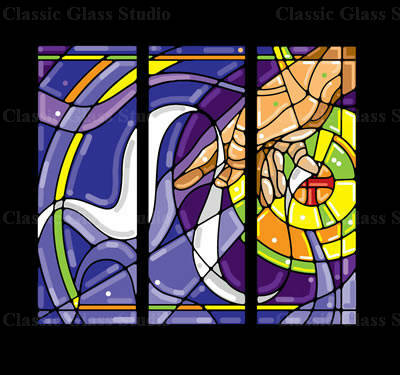 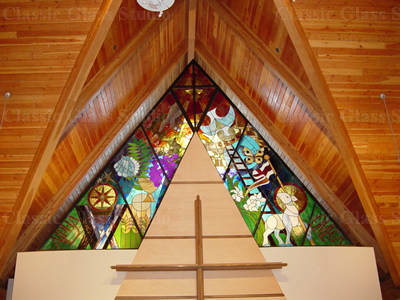 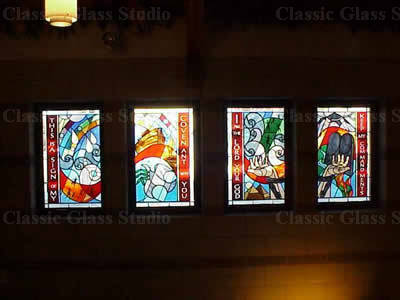 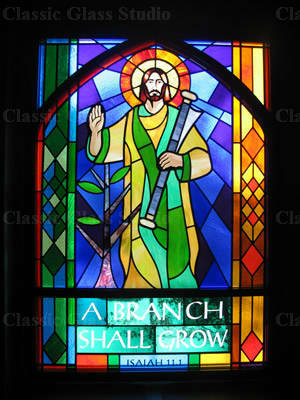 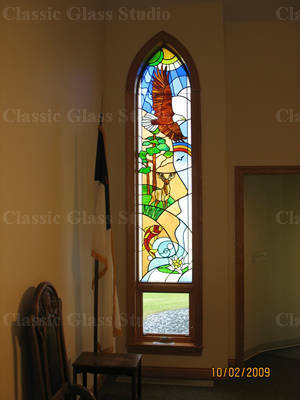 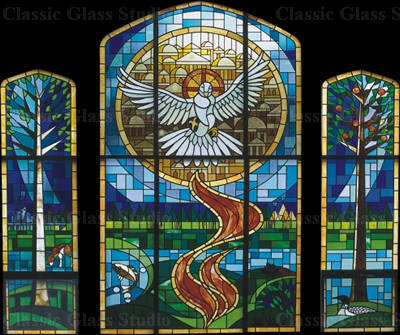 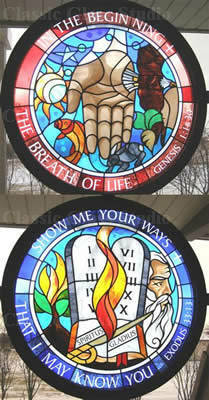 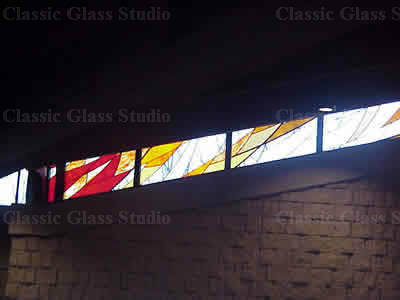 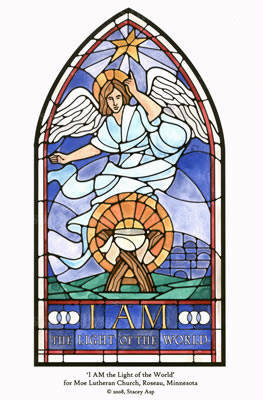 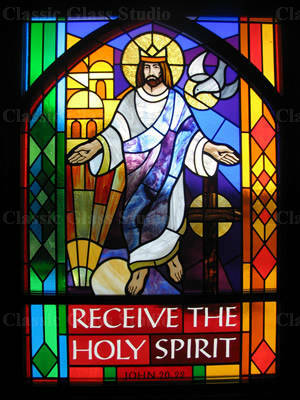 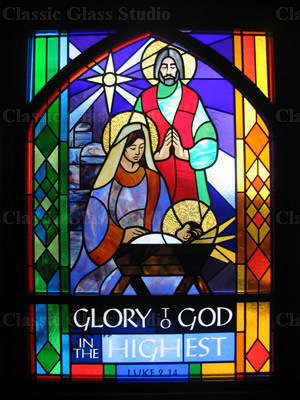 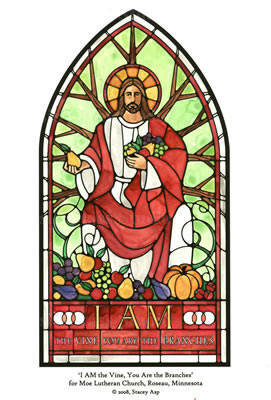 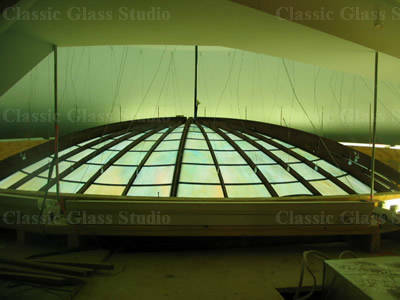 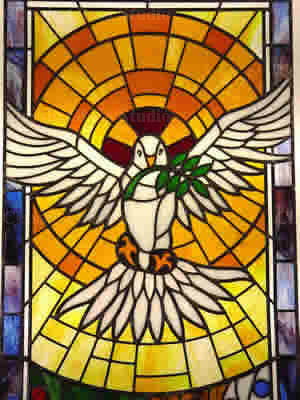 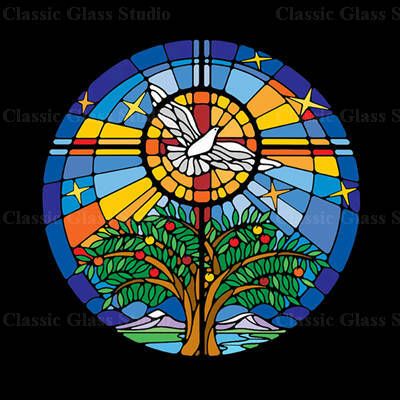 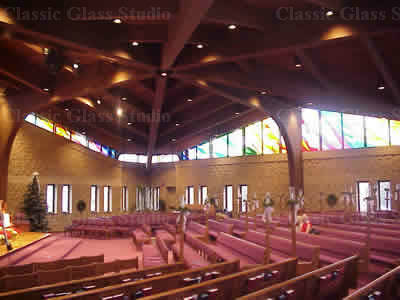 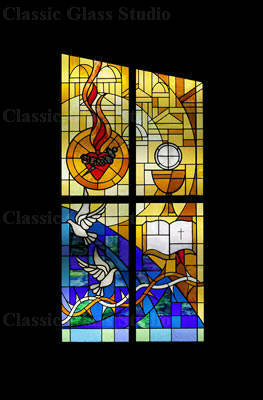 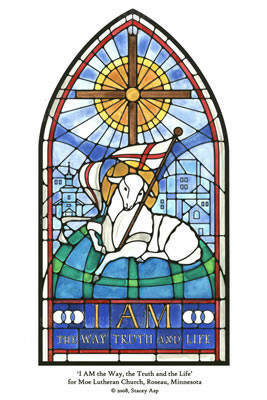 Contemporary stained glass is often best suited for modern buildings. 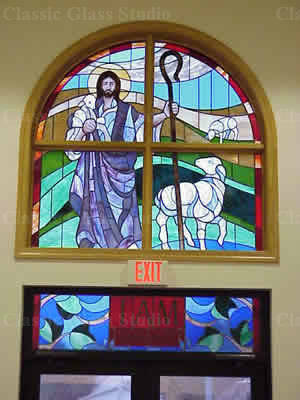 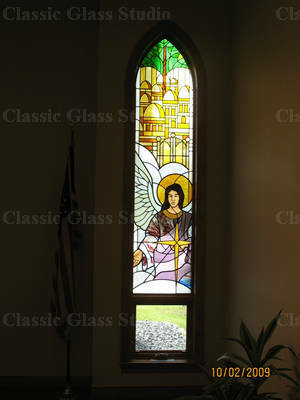 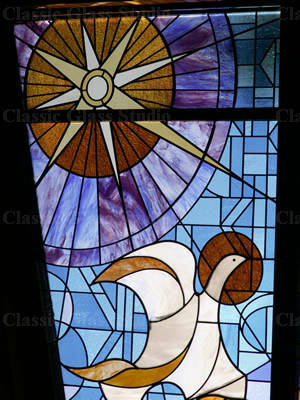 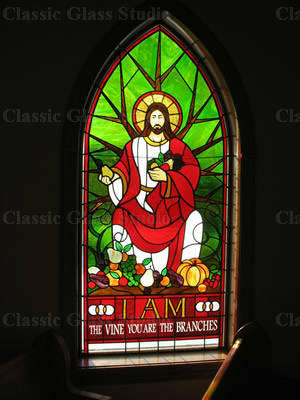 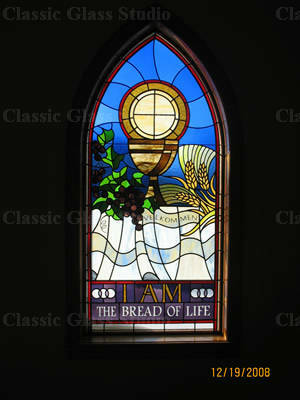 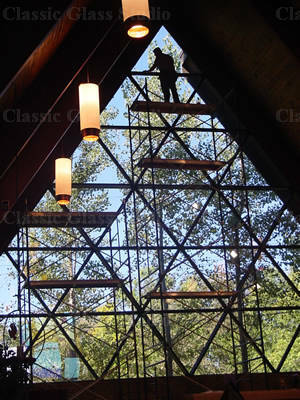 This style is more affordable and provides a fresh approach to decorating churches and other environments. 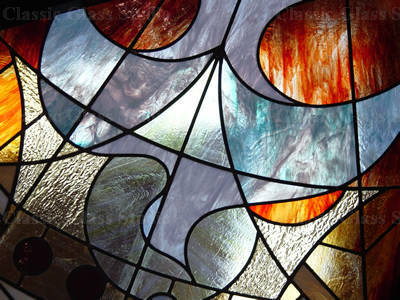 Symbolism and specific themes are easily translated through this medium. 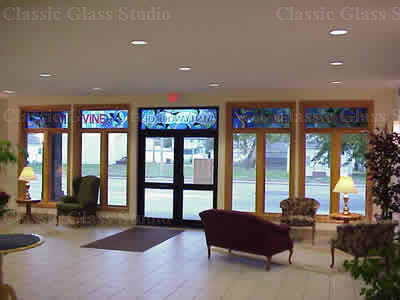 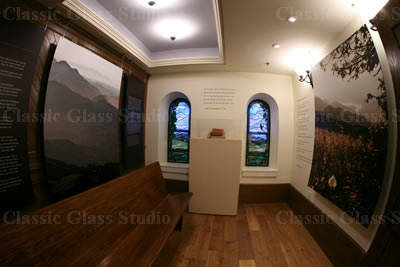 See some of our past projects in the gallery below. 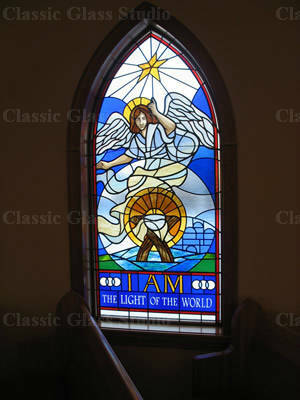 Click on the pictures below to see the full window.